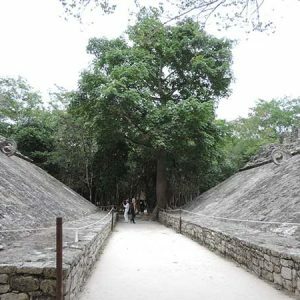 With our Coba express tour from Cancun option, it will get you back to your hotel in time to enjoy the rest of the day. 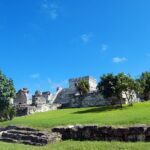 This is a great option for you if you have other things you want to do in the day besides a tour to Coba, as most other Coba tours will get back at least 2 hours later then this express option. This tour will also start your day off right with a light onboard breakfast to get your fun filled day started. The Coba Ruins originated from the 6th century and are located deep in the Yucatan jungle. The rich historical heritage provides one of the most mesmerizing scenery in the world. Whether you prefer to rent a bike, hire a rickshaw or simply hike along the ancient historical sites, you will not be disappointed. 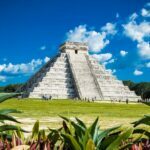 You might have thought that there are pyramids only in Cairo, but the Nohuch Mul pyramid will quickly change that perception as it is located in the jungle and has served as an astronomical observatory for the Mayans in the past. 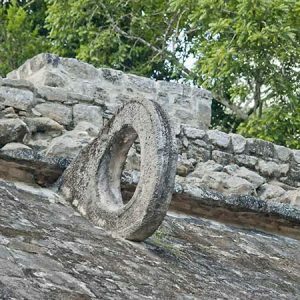 On this tour you will be given the opportunity to dwell deep into the culture of the Mayans while walking along the paths, which they once built, to visit their villages. Nohoch Mul is not the only pyramid in the area, but it is the highest one and provides one of the most beautiful sceneries you will ever observe over the Mayan jungle canopy. The city was amazingly large for its time, occupying around seventy square kilometers back in the 13th century. Moving from sight to sight you will be stunned by the whole experience and will leave you breathless. 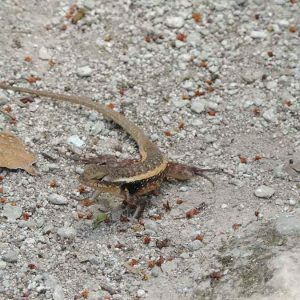 The Coba Ruins Tour includes the transportation and the entrance fee to the sights as well as an expert guide who will lead you through the site. 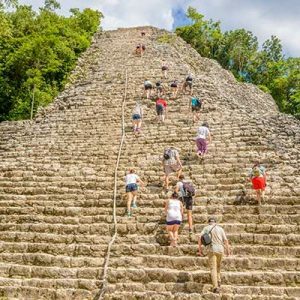 This incredible adventure will allow you to escape the crowds of tourists like at Chichen Itza and supply you with an expert guide who will educate you on a variety of different topics about the buildings, villages, and paths you will visit. 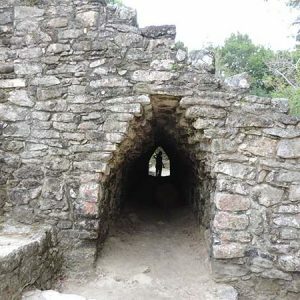 Below the pyramid, there is a secret underground cavern which was used for various purposes – an escape way as well as a way to get different kinds of supplies. 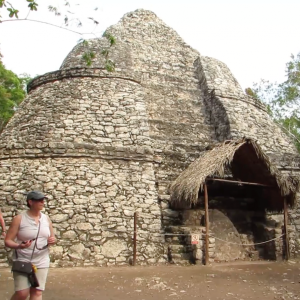 The Coba tour from Cancun picks up around 7:00 am for the Cancun area. 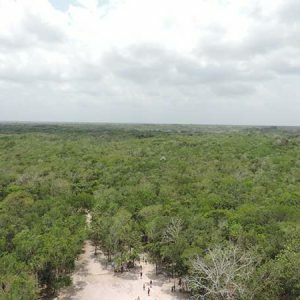 You will be going to Coba by air conditioned vehicle, and once you arrive, you will be greeted by a certified, professional guide for the entire duration of the tour. 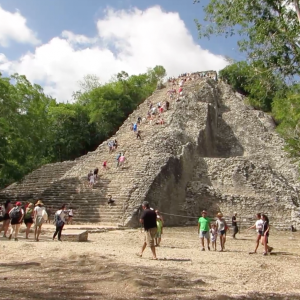 You will be given time to wander around the Coba Ruins on your own after the guided tour time to find areas that the guide didn’t go to, or go back to other areas you wanted to spend more time at. 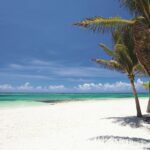 After your free time is up you will be shuttled back to your hotel in time to hit the beach still. Hotel pick up approximately 7:00 – 7:30 a.m., Tour returns between 1:30 – 2:30 p.m.
Biodegradable Sunscreen, Hat, Money for tips, Comfortable Footwear, Camera, Water, Snacks, Towel.